Susura ee ka ho gya? Lalu Prasad Yadav has always been in the headlines for his pungent diction and charming language. He is one of the most hilarious politicians India has ever had, with an elaborate career and great strength. Except for the small mistakes that he did, he never deserved to be behind the bars, for any reason whatsoever. But if we pick up the events of Lalu Prasad’s going to jail, they have always been beneficial for his family. 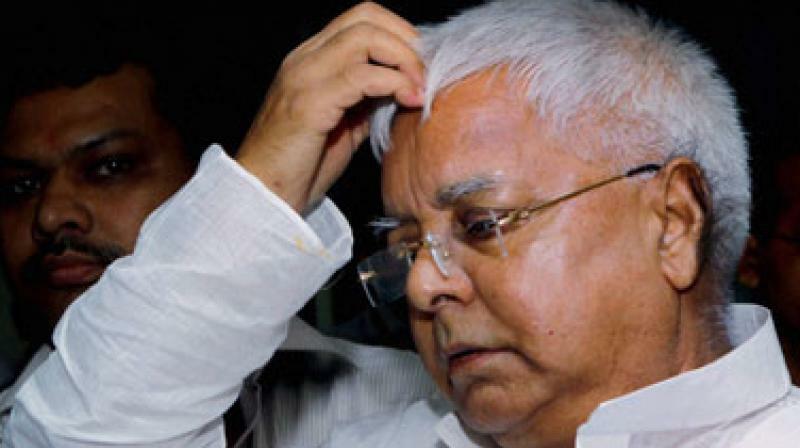 The last time Lalu went to jail, his wife, Rabri Devi make an entry into politics. It might be the turn of his son, Tejaswi Yadav to enter Bihar’s politics this time. Or maybe Lalu Prasad come to center next year! While everyone was busy watching the news of Lalu Prasad Yadav’s conviction in the 10-year-old Fodder Scam, Tejaswi Yadav was busy addressing the public with sympathies that when accused of 2G spectrum Scam got released, even his father will come out of jail soon. In the meanwhile, Lalu Prasad Yadav was having a gala time in the jail, sending requests for additional services to the judge and receiving nothing, but impromptu answers in return form the judge. When Lalu complained about the lack of services and poor arrangement to protect the accused from cold in the jail, the Judge advised him to play tabla and harmonium, as a solution to fix the problems. He indirectly wanted to tell Lalu that it is jail, not your cozy home! When Lalu complained about restrictions on meeting his family members and party workers, the Judge told him that this is why he summons him to the court instead of having the hearing on video conferencing. The court proceeds serve dual purposes in this way, also facilitating his meeting with the peers! When Lalu informed about the presence of few sixers in the jail who pester him and ask to marry him, the Judge told him that only he can get on the line. And now that Lalu was in the jail, he will do this work very efficiently! When Lalu was held guilty for the Fodder scam, the Judge sarcastically remarked that you people stay quite busy in your political life, not finding time to relax. These are your holidays. You people can meditate and do self-analysis in the jail. You people have ample of time! While all this seems very hilarious, the truth is, we see such type of punishments coming up for higher officials very less often. The common man, who is even slightly associated with such scams, gets convicted at the very first instance and these officials keep on fighting the case for years. We hope EQUALITY is soon achieved in VERDICTS as well! Is Sacred Game Season Two A Real Thriller? How Is Different From Vikram Chandra’s Novel? Must Have Apps For College-Goers. Make Your College Life Simple and Productive. All of them are equally delicious! Bailentine celebration is less costly. In just 3 months time! Excuse: we were innocent then! Each of them is so relatable! With 22 Out 30 Pages Full Of Advertisements, Times Of India Can Be Officially Named As Ads Of India! Times of India are in news but not for news. Trends change very fast. Keep up with them. Subscribe to our newsletter.